President, Youth for Policy and Dialogue. 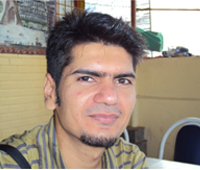 A Journalism graduate from the University of Delhi & is employed at the CPR, India. He has interned at some of the country’s leading Policy Think Tanks & has been mentored by some of the best names in the policy sector. 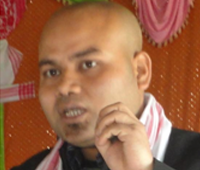 National Youth Award recipient and Founder of North-East Youth Foundation speaks about social entrepreneurship and role of youth leadership in North East states of India. Dipayan shares how we need to celebrate entrepreneurship in India and the immense opportunity Centre for Civil Society (CCS) provides students to be critical thinkers. Dhanuraj was one of the first graduates of our Researching Reality internship. After seeing the unintended consequences of public policy that compromises individual success and development of those grappling with poverty, he decided to get engaged in the political movement. Dhanuraj launched the Centre for Public Policy Research (CPPR), a think tank dedicated to extensive and in-depth research on current economic, social, and political issues. Through evidence-based research, CPPR aims to influence policy reform by framing policy debates and discussions, particularly in the areas of governance, education, health, law, livelihood, and urban reforms. 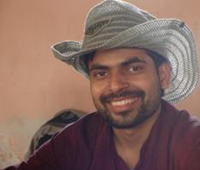 Bhanu attended our Researching Reality internship and was captivated by the new ideas, unconventional policy solutions and invigoration his peers had, to grow India out poverty and bring economic opportunity to all. Bhanu launched the Youth for Policy & Dialogue forum, focusing on seeking the opinions of young people and involving them in policy evaluation, creation and innovation. Jatin is one of the most innovative young leaders gracing India’s political sector. After graduating from ìpolicy for Young Leaders, Jatin founded Alexis Foundation, India's most diversified youth-led think tank, conducting research and providing a variety of consultancy services in public policy, strategy, law, management, economics and information technology. 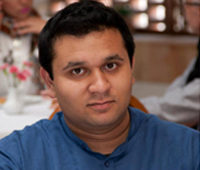 Naveen was a graduate of our Researching Reality Internship in 2004 and showed keen interest in diving deep into the political process, learning about what drives government officials to create a policy that affects thousands of people, especially in the bottom-rung. 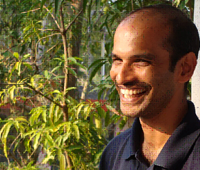 After his graduation from CCS Academy, Naveen launched Policy Innovations, a consulting firm in the business of enabling social impact in Education Sector, to create a space where he could interact with educationists to ensure that boardroom strategic concerns are based on insights synthesised from ground realities. 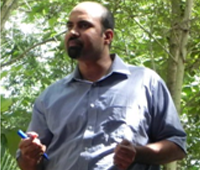 Rajan Kumar Singh graduated from our Liberty and Society Seminar in 2004. He went on to found Pratigya, an independent youth movement to ensure that every child has the Right to Education and promote the freedom of parents and students to choose schools for themselves. Rajan also won our Liberalism in Life Competition in 2005, which recognised CCS graduates who had taken the initiative to implement their learnings from the seminar on the ground and further the cause of liberty. Prashant Narang attended an I, Society and Public Policy Seminar and was inspired to take up the task of creating a corruption free government, where the common man is sovereign. He founded Prabodh with a group of participants from the ISPP in June 2006, a youth organisation that works to improve the quality of life of the common man and advocates for policies that promote good governance and free exchange based on democratic and liberal values. Sanjay was inspired by the principles we believe in at CCS – rule of law, equal access to opportunity and limited governance. He started the Centre for Policy Solution after he graduated from LSS. 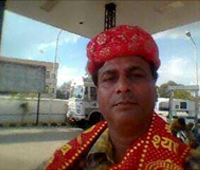 CPPS is a think tank based in Jaipur that aims to bring about a free and prosperous India, where people can live a dignified life in a vibrant, democratic society. Ranjan graduated from our Liberty and Society Seminar. Inspired by the public policy approach to social change, he founded the North East Youth foundation, a non-government organisation that is uniting the youth to create a vibrant civil society. One of the most inspiring aspects of our Academy is its ability to organise efforts to raise awareness about liberalism and activate young, energetic, smart thinkers to be the change they want to see in the world. 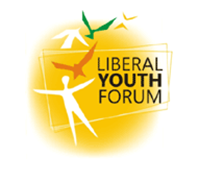 Academy alumni came together to launch India’s Liberal Youth Forum (LYF), a movement of individuals, informal groups and formal associations collaborating to create access and choice in social, cultural, economic, political and environmental spheres for a freer India. 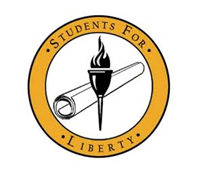 Students for Liberty aims to strengthen the liberty movement around the world by identifying enterprising students in areas underserved by SFL and training them on the philosophy of liberty and management techniques. We are proud to announce that six of the ten students chosen to be a part of the Students for Liberty Charter Team Program in India – Anjali Kumar, Ujwal Batra, Deeksha Gehlot, Abhinav Singh, Kiran Reddy and Yavnika Khanna– are CCS graduates. Researching Reality brought me closer to reality.Now I understand this world better and KNOW how to make it better. The most life-changing six weeks of my life. I stand inspired, ready to follow my dreams. Thank you, CCS. Ever since I've got back my mind has been a whirlwind of toughts, I've been reading as much as possible and I've surprised myself.Even after coming back to Pune, my thoughts have been continuously been at ipolicy and the very fact this has kept me going over the past two weeks, is what has surprised me the most. Usually whenever I get back to college I get so caught up in all that's pending for me that I forget about what I hoped to do as a follow up. This time however, even though there was much to do, my mind kept taking me back to spontaneous order, free trade and libertarian ideology. There's been this strange restlessness within me, I can no longer just take things as they come or look for excuses, there are so many questions, and it’s an exciting feeling. What is the best about this workshop is that you are not just given lectures and asked to believe. you actually ponder over issues those of which are important to you but you never end up discussing. You are free to ask questions free to give suggestions. It leaves you with a more open mind more receptive to what is happening around you. Plus it is fun. ipolicy helped me recognise the stereotypes I had. Instead of asking why I began to ask why not? The course showed me the link between a free economy and a free society and how that can be strengthened by a liberal approach to public policy. I’ve also recognised my potential to become a change agent in contemporary society. I have taken the ipolicy workshop myself. When I went for it I didn’t know much about CCS but believe me it was the best thing that happened to me. I am a student of 5 year law.. am in my final year now and my best internship so far has been with CCS. CCS is among top 50 think tanks of the world... it respects individual liberty and promotes discussions deliberations etc on public policy... It was the best experience so far. It’s the best workshop I've ever attended. It’s amazing how a few days with the CSS team can actually impact your life and style of thinking so much.. an unforgettable experience that you always want to come back to. I have read a substantial amount of text on libertarian philosophy including Ayn Rand and Robert Murphy which though highly inspiring did not give an Indian perspective. CCS took a mere 4 days to solidify this philosophy with its exceptional lectures and gave me my most wanted Indian Perspective. ipolicy made me think and revisit my value system and thought process. I now believe in people and their competence. It has also made me think about the education that we are giving and whether it is apt? It was indeed a very scintillating experience for me to participate in ipolicy program held at Jaipur. Indeed I consider this course an eye opener which vindicated my belief that every social problem have a right set of solutions which lies in our approach and philosophical understanding. To some extent liberal philosophy started seeping in my way of thinking and channelising my thought process with a new constructive approach. Guys It was you people 'The participants' whose inquisitiveness to learn and spirit to transform the world on toes was remarkable. It would not be justified if I name any one as emerging social change agent because I observed that the spirit to change India was burning alive in every participant. I am confident that within next ten-fifteen years our collective strength will guide the destiny of this Nation. A big Thanks to Srijan Bandyopadhyay for his Srijanatmakta (Creativeness) in organising this fantastic program. I Consider Amit Gordon, Amit, Andrew, Adarsh Sharma, Aparajita Sharma, Bhuvana Anand, Baishali, Sadaf and Srijan 'NAVRATNA's of Centre for Civil Society' (i.e) Nine Precious Gems of CCS. Dedication and patience of these people was remarkable. Aura of their intellect can be felt from far away. "CCS gave me a golden opportunity to work on ‘Business Planning for Schools’. In the process, I gained knowledge on current system of setting up and operating a school in Delhi. I met such amazing people and gathered a lot of information from them, both related to my project as well as general economics. I have realized that researching, conducting a survey/field work is no child’s play. I am grateful to CCS for this eye-opening and learning experience."